Well add this to the growing list of silly projects I've come up. I have made little recovery tokens. I wanted to be able to give folks something for their support, a reward and reminder for in essence opposing laziness. 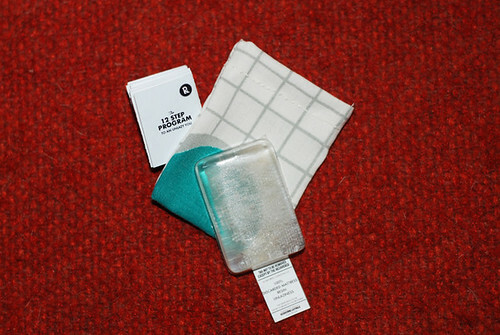 Each token is a mini-mattress made from real mattresses. Yes, maybe gross, but I was going for the symbolism in tearing up the ultimate lazy crutch... the bed. 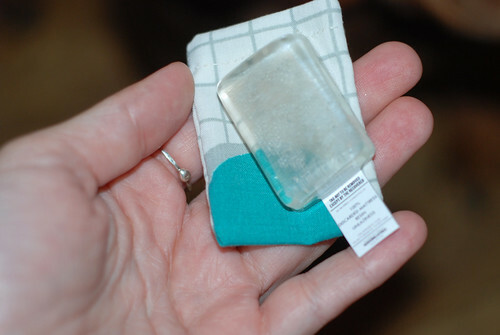 The fabric is washed and encased in resin, and completed with a tag. So each token is one of a kind. It is then put in a handmade "pillow case", again made from re-purposed lazy materials -- real pillow cases. My sewing skills are about 2nd grade level, if that exists, so you'll have to pardon any crooked seams. 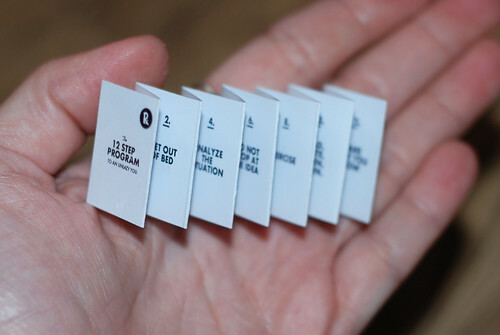 Last, all tokens come with a mini-12 Step Guide. These will be given to anyone that sponsors me, donating to my "making things fund". I think I will give these to anyone that makes a purchase from my shop, but if that happens I need to continue scouting out garbage bins across Austin. Doesn't that sound fun. Below are some photos that should give you and idea what these baby beds look like.